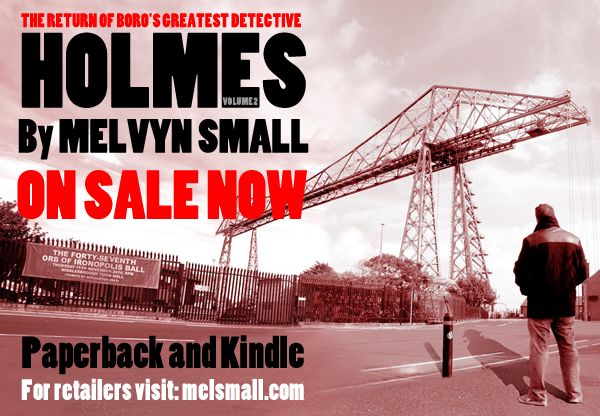 For a further six short stories, inspired by the works of Sir Arthur Conan Doyle, Baker Street's most notorious resident, Sherlock Holmes, and with his friend and associate Doctor John Watson, are embroiled in yet more of the mystery and intrigue that has the police of Middlesbrough perplexed. "In the last 42 months, I've read 337 books, and let me proudly say this one is in the top 10." - Richard Lang, Mesquite, Nevada. “Sherlock Holmes at your service,” replied Holmes with the slightest of nods. “What other services do you supply?” she asked. “Consulting detective work, computer hacking, taxi driving,” I interjected, in an attempt not to be elbowed from the conversation. “What can you detect about me?” she continued, with hardly a glance in Mary’s nor my direction. Holmes stepped back to look her up and down, before directing his eyes to flit about unfocused in the middle distance. Holmes returned a smile contaminated with the suggestion of achievement in his eyes. “You’re not very good at this are you, Mister Holmes?” remarked Katrina. Katrina smiled. Rocking her head to one side whilst biting her thumbnail, she conceded to some brief laughter. My dawning realisation was that of a seduction unravelling in front of me. It was, however, difficult to tell who was seducing who. 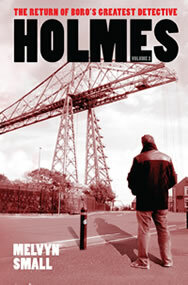 Holmes Volume 2 is available direct from 6e Publishing or online from Amazon in both paperback and Kindle ebook.